As I child I was taught what a wonderful nation we live in, we had freedom and justice for all, but in Washington today they have destroyed this. We have an FBI that is so far out of control, the Justice Department as well, that they need to be either disbanded or rebuilt from the bottom up, the leadership needs to all go, and laws put in place not to empower the FBI and Justice as it is now, but to protect our citizens from them. And Mueller, he is the sum of all the problems, he needs to finish now, we need to put in place mechanisms to protect from what we see him doing now, he is not looking for crimes and then connecting them to people, as the law dictates, he is looking at people, then trying to find crimes that connect to others, this is a gross violation of the rule of law. The FBI has never been innocent, it has from the beginning been open for corruption, we saw this for years with J. Edger Hoover holding secret files to keep congressmen and Senators, along with political leaders under his control, either hold his line or he would release what he held on you. We saw presidents try to reign him in; they found in a hurry that he held enough dirt to shut them up and allow him a free reign, this was stopped by a heart attack, his power due to his secret files was so deep that only death was able to rid the nation of him. We were told in 1972 after his death that we would put in place leaders that would not hold such power over elected officials, seemed the FBI was finally going to become what it was set up to be. Please don’t misunderstand me, the rank and file people working in the FBI were great law-abiding Americans, the problem has always been with an organization with such power, working with the Justice Department had a means to spiral very quickly out of control, presidents after this tried to contain this, this all blew open during the Obama Administration. During the Obama years, political ideology was far more important than actual qualifications, support and allegiance to liberal ideology was the defining means of putting people in power, and this went far beyond just the FBI, it went to the other agencies as well, you then had a cabal of power centered around this ideology, our security services were run by leaders who had the same ideals, the Justice Department with Loretta Lynch, later her deputy, Sally Yates, were part of this, they put their ideology over their duties, soon we had a government within a government, with intel agencies working with justice agencies to direct goals that were never publically stated. This power was then tied into other agencies, such as the IRS, we saw them using harassment tactics to attack political opposition groups, audits and other forms of harassment were used, any group that was not toting the liberal line were soon fair game with the IRS, they were able to with impunity harras and attack to their hearts content. Under Clinton’s watch the FBI was given immense powers, if you were caught lying, or giving testimony that was not 100% accurate due to lack of memory of the events, the FBI could then throw the book at you. This is due to Section 1001 of Title 18 of the United States Code, which generally prohibits knowingly and willfully making false or fraudulent statements, or concealing information, in “any matter within the jurisdiction” of the federal government of the United States, even by merely denying guilt when asked by a federal agent. In other words, if they think you are guilty, you say you aren’t, which everyone is supposed to have the legal right to profess innocence until proven guilty, this was taken away if you say you are innocent, you are automatically charged with lying, and the charges are passed. This law is so insidious it is set up to take away your right to even plead the fifth, although I would love to see this challenged in the High Court, if you plead the fifth, then the FBI can say you are concealing information, at that point I would shut up, tell them to bring charges and take such a charge to the supreme court, for our right under the 5th amendment to testify against yourself. By putting in law that if you fail to disclose the information sought, thus all they have to do is make up something, say you did it, you then have to set up a defense, or worse, admit to guilt or be charged is a gross violation of our constitutional rights. What needs to be done is this to be taken to the Supreme Court, many times the powers to be will make a deal, this is what happened with the Religious Speech Laws under the IRS forbidding Preachers or Rabbi’s from making political statements from the Pulpit, the IRS could then strip your tax exempt status from you, for years if you dared to challenge this the IRS would quickly make a deal with you, they knew if you took this up the courts they would lose this leverage due to conflict with our constitutional rights. How this has been used by Mueller and others within the Justice department is to take people, make them come to hearings, they have to bring counsel, which is their right, they then hold this over the people, you need attorney’s to make sure you aren’t in violation of the law, when they are done you have wasted every penny you have in net worth, your savings are gone, houses sold or remorgaged and then the FBI forces you to make deal because you no longer can afford legal counsel. They have infinite resources, they know even if you have millions, it is a simple matter of time until they bleed you dry and take all you have, then you are left to have to deal. The reason they haven’t tried this with Trumps appointed officials, most of them are billionaires, if you call them up, they have the means to bleed the whole thing out until there is nothing any longer, so Mueller and the Justice Department are going after lower people with less wealth, calling them in not due to evidence of crime, but breaking them until they can force at least a possibility of a crime is confessed. This is not how our founding fathers set the laws up and could be why when this was brought up to the federal courts the judge presiding over the case was lecturing Mueller on the impropriety of this. What is needed is for Congress to have the courage to correct this, the power to force confessions, deny the ability to plead the fifth is not set up to protect the people, it is to empower the Justice establishment to run their turf in a manner of a police state. This is no longer the actions of a democratic republic, this is the actions of a petty dictatorship, it needs to stop, either we need to disband these services, or reassign the whole leadership until we can fix this problem. 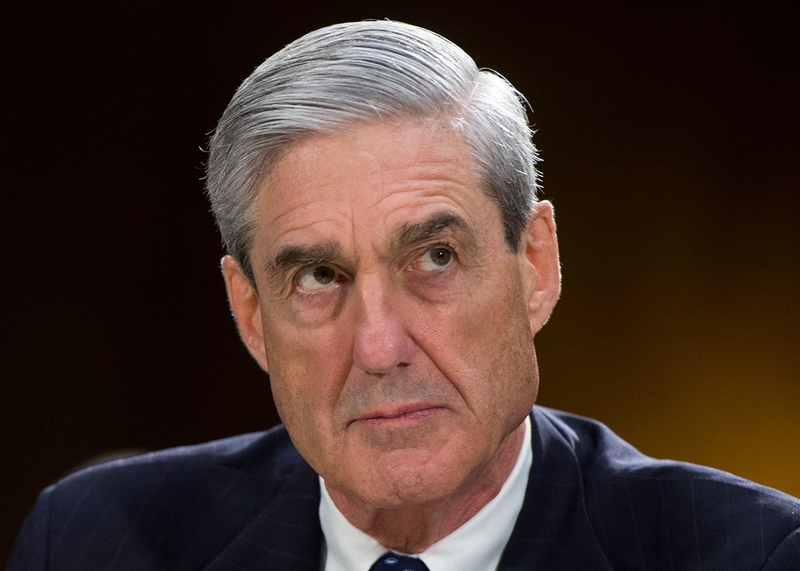 What I find so interesting is for the last year you have seen the left walking in lockstep in support of Mueller, attacking anyone who dared to question what he was doing as somehow unpatriotic, of course, if the same thing happened with Obama, or when it did with Clinton, we heard exactly the opposite, suddenly the left could care less about individual rights, the needs of their constituents and protecting the sham of an investigation had to be protected at all cost. But now all this is changing, you are starting to see questions about the whole thing, questions that are quickly still attacked, but many news sites are frantically spinning as they see this all falling apart, they know this narrative is not going to last long, if the liberal news sites continue down this path they will lose what little credibility they currently have left. But more needs to be done, we not only need to see Mueller stopped, show the evidence of collusion, which we all know does not exist or shut the investigation down. We next need to demand not the Justice Department, they are part of the problem, we need a special counsel to investigate Mueller, Rosenstein and the rest to see why they did this, to look at the Obama Justice Department, see what the true findings they had to set this whole thing in motion, to look into spying on an opposition campaign, and if wrong is found, we need a full investigation, guilty charged, does not matter if this goes all the way to Obama. This may be the largest act of sedition this nation has ever seen; Watergate could end up looking like a scratch compared to the near-fatal wound that Obama and his cronies inflicted on our democracy, the blood of people who sacrificed all to uphold this nation and safeguard it, scream for justice to be done. PreviousWhen Given A Chance, Liberal Support Terrorist Every Time!